Better Shedz quality sheds, bespoke sheds, workshops and sleepouts. These are some of most commonly asked questions. If the answer to your question is not here please contact us. Is a building consent required for a garden shed? 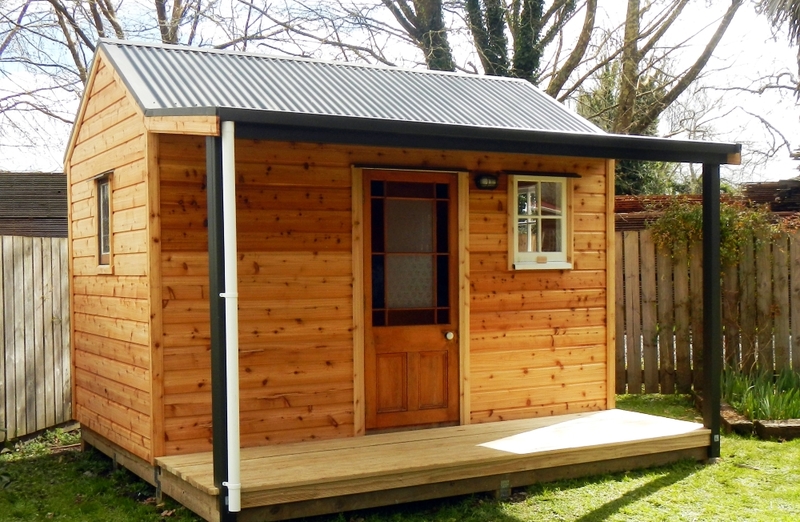 A building consent is not required for garden sheds up to 10 m2 in floor area. Do I need a level site? Yes the site of your shed/sleep out should be as level as possible; we can make minor adjustments when we install the shed. We are happy to quote for any foundation work or site preparation if required. Can my new shed sit straight on the ground? Yes the floor framing is H5 ground treated, although we do recommend supporting the shed on concrete pavers to allow air movement and possible water run off. Do you recommend wooden or concrete floors? There is nothing wrong with a good concrete floor but we feel a built in wooden floor makes for a better shed. One advantage is that should you ever want to relocate the shed you can. A timber floor normally provides a drier environment and is usually more cost effective. Will my shed blow away? Bettershedz™ are a heavy shed by way of the materials and design, in most cases there is no need to anchor them, however where there is a high wind risk, or exposed site we can advise on what is required. What sort of doors would you recommend? Our doors use heavy duty hinges/slider hardware, pad bolts and cabin hooks (hinged option). Doors are supplied with a key lockable “T” handle, and the door frames have an internal weather flashing for the doors to close on. Bettershedz™ folds the ColourSteel™ cladding around the corners; this provides a neat weather tight strong corner. Also the corner fixing of these sheets adds considerable bracing strength to the shed. Does the cladding go below the treated ply flooring for water run off? Yes our cladding is set 60mm below the floor level, ensuring a dry floor. Bettershedz™ are assembled using Tek screws, these screws are a galvanised hex head screw with a rubber sealing washer. The rubber washer seals the screw hole, and minimises corrosion between the metals. No our sheds are priced as ‘ex workshop’ from Paihia. Please ask us for a quote to deliver your new shed. Can I choose the window and door locations? Yes you nominate exactly what you require, we are bespoke builders, as such your design is our design model. Approximately 3-4 weeks for a shed and 5 weeks for a sleep out, sooner if possible. We will advise at time of order as to projected availability. Does my shed come with a warranty? Yes, quality workmanship and materials are guaranteed. Why do you have a on site assembly charge? Our sheds are priced based on workshop assembly times, there is a lot of double handling and more time involved when we assemble on site.